File preview generators, implemented in the form of .exe files. Let's take a closer look at this mechanism. To implement the possibility to use 'external' generators, a new file preview generator interface has been added, which is presented below. The main function of this base class is Process CreateWithExternalCreator(string filePreviewDir, BinaryFile file), which takes two parameters: filePreviewDir – full path to the directory for saving the generated preview file, file – a file of the document, for which a preview is generated. The returned result points to the 'external' preview generator process. As you can see from the function code, it starts the generator .exe file and passes two parameters to it via the command prompt: full path to the generated preview file, full path to the file, for which the preview file is generated. Note, that this function is virtual. Thus, when implementing custom preview generators, you can redefine its functions in your implementation of the BaseFilePreviewCreatorEx base class. 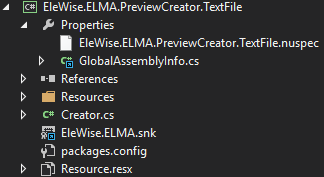 ELMA 3.11 features a standard implementation of the preview generation provider, in the form of a separate assembly EleWise.ELMA.FilePreview.LocalService. The blocks in bold are the ones you need to add to connect your provider implementation. The second part of the preview generation mechanism consists of external executable generator files, in which the preview file generation logic is implemented for a specific document format. Let's take a look at a specific implementation of a .txt file preview generator. 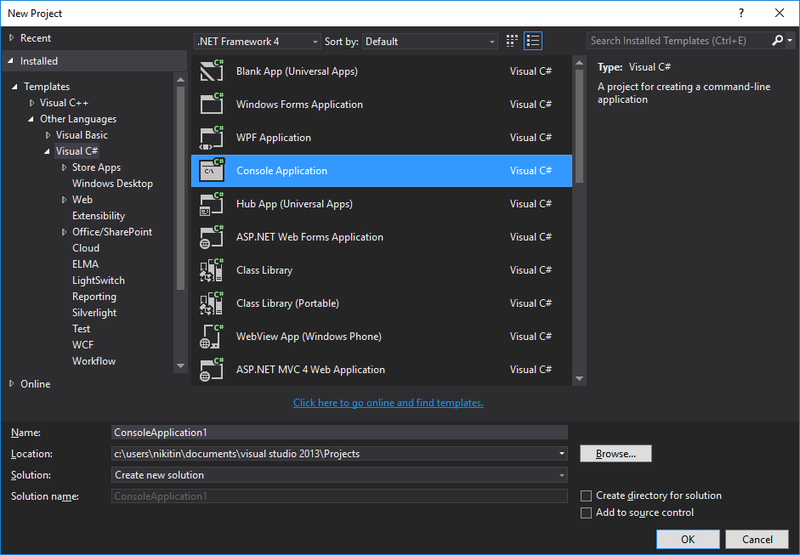 To create an external generator executable file, create a project in MS Visual Studio of the "Console Application" type (fig. 1), with the following structure (fig. 2). You must specify the FilePreviewCreator component type (highlighted in bold) so that the system package manager placed the external generator to the correct directory when installing the component.